Visions of Jesus Christ.com - Anne Louise Lateau - Stigmatist. Above images are of Anne Louise Lateau. Bottom photo was her home. Learn the full story of Anne's life [here]. Rough translation from Italian. Our Lady first appeared April 15, 1868. Officially declared "Servant of God", his cause of beatification was opened in Rome in 1991. Privileged and stigmatized by many other mystical graces which the vision of Jesus Christ, the Holy Virgin of the Angels and Saints, Anne Louise Lateau lived without power since 1871. Lateau Louise (1850-1883) was born January 29, 1850 in Bois-d'Haine near La Louviere (Belgium) and died August 25, 1883 in Bois-d'Haine. Third of a poor family, Louise Lateau knows hunger and poverty from childhood. 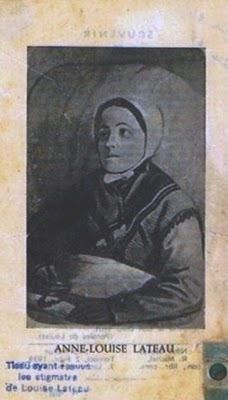 Her father, Gregory worker employed at a foundry contracted smallpox and died April 17, 1850, three months after the birth of Louise, leaving only the mother Adele Lateau with his two younger sisters. The eldest daughter, Vosine, had just three years, and Adeline, a little over two. His mother almost died in childbirth had to stay in bed for about two years and a half. Abandoned by all who were afraid of contracting the deadly disease for the first few days will be the small Vosine three years to take care of the family as long as a simple farmer, Francis Delalieu not worried goes to them and realizing the situation fails to intervene. Eleven years ago the first communion and went to live with a paternal aunt. The sick woman died two years later and Lateau Louise, who had served in that period with great zeal and devotion, must be in the service of a lady in Brussels. is ill and she is forced to return home. Recovered will go to work at a small farmer until recalled by the mother stays in the country for the rest of his life, devoting herself entirely to embroidery and household chores. In 1866, the terrible cholera epidemic brings death in Belgium, also coming to Bois d'Haine. At the request of the pastor, Louise Lateau assists patients with dedication and without fear of contagion, even when it comes to bury the dead. Enter the Franciscan Third Order in the month of December 1867. 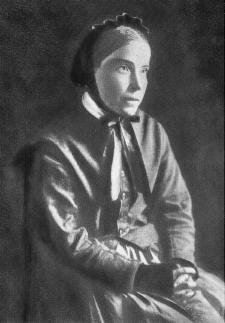 Her health deteriorates to the point that there are fears for Her life: receiving the last sacraments April 15, 1868. On Friday, April 24, 1868, shows the first sign of the stigmata. This phenomenon will repeat itself for no apparent reason every Thursday night until the Friday evening, for the rest of his life. Despite all Lateau Louise continues to work hard for her family trying to hide as much as possible this phenomenon in her uncontrollable. Her stigmata were examined carefully by doctors and church authorities finally were declared indefinable. Pope Leo XII April 23, 1873 declares that it is an "extraordinary event" that "medical science will never be able to explain" It got to the point where they could no longer keep the secret and the news spread even to 'abroad. Crowds of onlookers crowded around the house of his mother. Louise Lateau also enjoyed frequent ecstasies and was able to feel the presence of the consecrated host. During the ecstasy, was completely absent, had no perception of the events that happen around her. She could stay for hours in contemplation insensitive to pain. Louise revealed her pastor what she saw during the apparitions: the passion of Christ, the Virgin Mary and the saints. too, these phenomena of ecstasy lasted throughout her life. Since 1871, she ceases to eat, drink and sleep ... The only food was the Holy Eucharist during Mass daily. 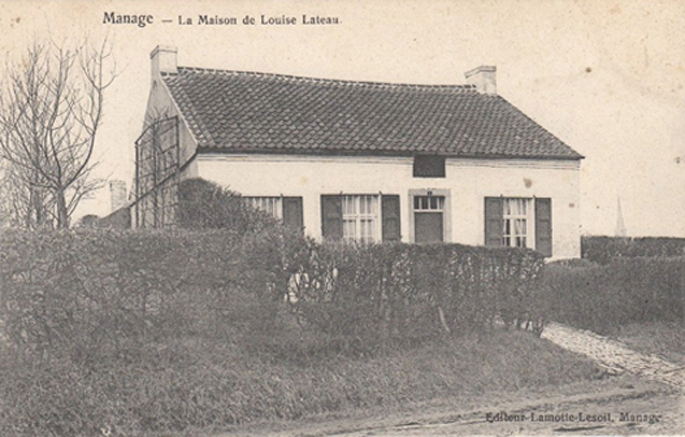 At the end of the year 1868, the bishop of Tournai, Joseph Gaspar Labis opened an investigation into the rectory. The commission made ​​up of clerics, a layman (the state minister Adolphe Deschamps) and a doctor (Dr. Lefebvre of the University of Leuven) recognizes the sincerity of the person and the authenticity of the facts and concludes that science can find no rational explanation. She died after a long illness August 25, 1883. From the day of her death, her tomb became a place of pilgrimage. There has been evidence of miracles, but in spite of this, the Church has taken its time to open a preliminary investigation that could lead to beatification. Huard In 1990, the bishop, the bishop of Tournai officially opens the cause of Louise Lateau. Read/view free [ebook] A Visit to Louise Lateau by Father Gerald Malloy.